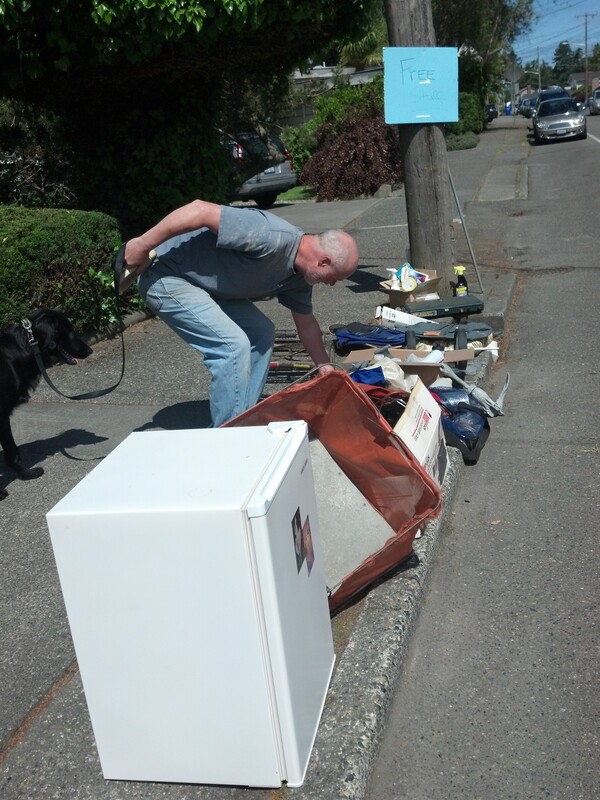 Calling all Pickers: there’s some FREE stuff on the sidewalk on west side of the 4700 block of Beach Drive. At the time of this photo, we spied a mini fridge, skate board and a small folding anchor. If you have a garage sale, free stuff along Beach Drive, we’re happy to post it.